The search engine is a profound component of the World Wide Web. Without it, people would be wandering the Internet taking stabs in the dark and rarely finding what they want. In recent years, though, more and more companies have been demanding search engines for help with their internal data. This means that the search engine as we know it is about to change in a couple of big ways. It goes without saying that search engines are more advanced than ever before. However, it’s nearly impossible to do justice to just how far they’ve come in a very short period of time. Not so long ago, you could be told that “no results were found for your inquiry” simply because you spelled a word wrong. Even when you spelled everything correctly, you still needed to be very specific in what you were looking for or you risked getting all kinds of answers in return. Nowadays, you can misspell every word in a sentence and your search engine will figure out what you meant or at least recommend some other spellings. You don’t even need to know exactly what you’re trying to find either. The search engine can make sense of the vaguest of inquiries. A lot of times, too, your search engine will be charged with figuring out the emotional context of what you’re saying. By picking up on these subtleties, it can bring you the results you were looking for, efficiently ranked thanks to its appreciation for nuance. However, it’s also worth pointing out that some of the best search engines out there aren’t even for public consumption. Enterprise search platforms are one of the hottest forms of software on the market. These are search engines that are used to help employees sift through their organization’s data. Let’s look a bit closer at this specific form of software because if your company isn’t currently using it, your results are going to suffer. 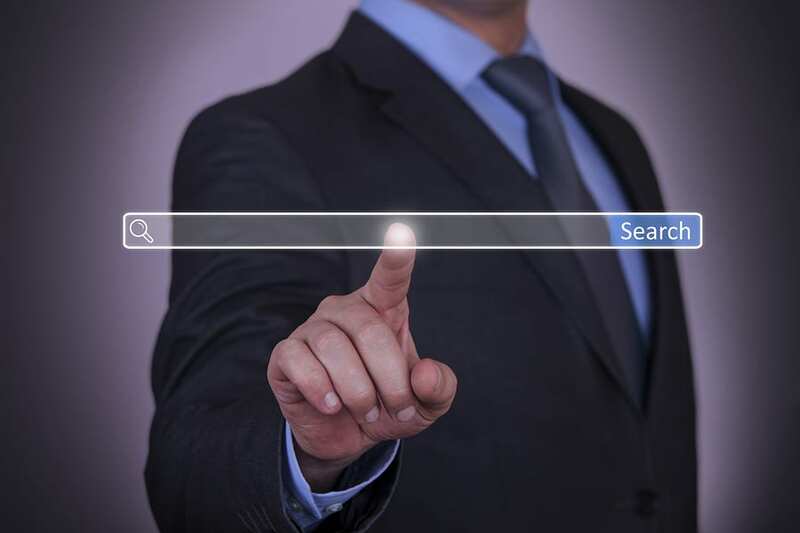 There are a couple important differences to consider when thinking about enterprise search engines compared to the kind everyone is familiar with. Obviously, the former comes with billions of dollars in backing. Microsoft, Google and others have all put countless dollars into producing the best possible search engines. For all the money that went into them, though, they lack in a very important way. It’s this shortfall that has made it so important for companies to look elsewhere for their search solutions. While web search engines are awesome at returning a large breadth of data on demand, that information lacks for depth. The kinds of searches that companies need search engines for are much deeper in terms of its demands. These search engines have to retrieve both structured and unstructured data and then organize it in a specific way in terms of keywords, paragraphs, phrases and, of course, security. If you tried using a web search engine for going through a company’s records, it would immediately become “confused” and you would most likely be equally confused by the results it brought back. Perhaps you’ve already tried this before and know exactly what I’m talking about. Again, this is because web search engines aren’t designed for the kind of depth you need. It’s going to run a broad keyword search and bring back just about anything that comes close to what you asked for. Furthermore, though, the reason why something as powerful as Google can’t perform in a company’s internal environment is because there are no links for it to learn from. Search engines love backlinks because they tell them which websites are supported by other sites. That makes their job a lot easier. Those links won’t exist, though, for the vast majority of searches you do through your company’s internal records. Now that you understand what enterprise search platforms are, let’s take a look toward the future. By better understanding where the market is going, you can better consider where your own needs are headed. The first and perhaps the most important factor to know about is big data. No organization is moving forward with less data. In fact, we’re making more of it than ever before. To truly do the sheer size of big data justice, consider this: it’s estimated that by 2020, we will have more digital data on our hands than there are grains of sand on the entire planet. That’s just five years from now! Imagine where that number will be in 10 or more! While your company most likely won’t have anything close to this amount, it’s worth giving some thought to where your data needs may be next year, the year after that and so on. In the search engine industry, the various digital locations where data can be stored are known as silos. Given how much data we’re creating, it only makes sense that a proportional amount of silos would be on the way too. Silos aren’t just different rooms for data storage though; they also refer to the types of data being stored. This is why search engines are going to need better and better analytics for pulling off their job. The data in one silo may have absolutely nothing in common with the kind in another. On an enterprise level, users want to be able to extract data from any of these silos without having to go through one at a time or otherwise limiting the environment they work in. Everything is adopting the clouds these days. Even some servers come with cloud infrastructures now. However, the same can be said for company search engines. Many manufacturers are making their search features available via the cloud. The cloud makes everything more convenient, of course, but it will also support superior scalability and a reduction in costs too. Mike Miranda writes about enterprise software and covers products offered by software companies like www.rocketsoftware.com about topics such as Terminal Emulation, Legacy Modernization, Enterprise Search, Big Data and Enterprise Mobility.